Irena F. Karafilly was born in the Russian Urals and has lived in various parts of the world. She currently lives in Montreal, where she works as a writer, journalist, and occasional university lecturer. She holds an M.A. in English from McGill University and an M.F.A. in Creative Writing from the University of British Columbia. She is the author of three books and of numerous short stories, which have been widely published, anthologized, and broadcast. Her fiction has won two of Canada's top literary prizes; her articles have appeared in newspapers such as the New York Times and the International Herald Tribune. The Stranger in the Plumed Hat . Toronto: Penguin Canada, 2000. Ashes and Miracles . Toronto: Malcolm Lester Books, 1998. Night Cries . Ottawa: Oberon, 1990. 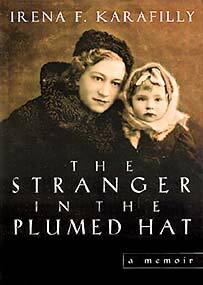 Finalist for the Torgi Award ("The Stranger in the Plumed Hat"). "Karafilly...seems to be present, psychologically, everywhere in that world. She becomes not only the tourist seeking a week of sun and cheap romance on the island, but the gnarled fisherman struggling to make a life there; not only the privileged, alienated outsider, but the restless, dissatisfied insider; not only the female, but the male. Her empathetic range is impressively broad... Karafilly's debut in this first book offers much pleasure, and makes one look forward eagerly to her next. Roy MacSkimming. If you cry easily, don't read this book on the bus. Irena F. Karafilly's memoir of caring for a mother with Alzheimer's disease is vivid, tender and heartfelt. Mercifully, it relies on neither Hallmark schmaltz nor Mommy Dearest melodrama for its effects, but rather the author's remarkable ability to evoke all the complicated, at times wildly contradictory, emotions that arise as a daughter watches her mother descend into a relentless dementia that threatens to rob her of all dignity, self-awareness and memory. Karafilly is an award-winning journalist and fiction writer based in Montreal. Her narrative is a powerfully honest account of struggling to come to terms with her mother's terrible illness. She does not, nor should she, spare the reader any harsh glimpses of life for Alzheimer's sufferers and their beleaguered families, who often feel marooned on some hellish Island of the Damned. We learn that her mother is difficult to kiss, because she frequently "smells like a chamber pot," having taken to drinking her own urine (on presumably well-meaning advice from a relative). We see the cruelties of life in overburdened geriatric institutions, where immensely vulnerable patients are often inadequately cared for, not necessarily deliberately, but due to staff shortages and mindless bureaucratic practices. But blatant abuse still comes as a shock. Karafilly reports one instance of finding her mother trussed in her bed. "She had been strapped before, but on this occasion was wincing with pain, complaining of something cutting into her bottom. I lifted her hospital gown for a look, horrified to discover a restraint worthy of the Middle Ages; a long wire running between her buttocks, cutting into her tender flesh, keeping her not only from extricating herself but from virtually any movement." We share the author's grim pleasure when, during an outing to the smoking area, her mother for no apparent reason pulls down her diaper and defecates on the office threshold of a particularly autocratic head nurse. Karafilly later compares the terrified, uncomprehending patients who accost her in the hallways, pleading for help in finding their way home, to the famished stray cats that once circled her when she was on a visit to Greece. It's one of the most tragic of this book's revelations about the illness - those suffering from it may have lost most of their marbles, but their capacity to experience pain and fear often remains intact until the bitter end. Fortunately, this memoir does not simply dwell on the dreadful details of the present. Equally important, and no less daunting for the author, is the task of making peace with the past, and some sense of the complex, at times infuriating, relationship she had with her mother. How to reconcile the image of a vivacious young woman in a faded family photograph with the angry, malodorous geriatric patient her mother has become? Who was this Russian-born "shiksa femme fatale" who married a Polish Jew, had a daughter and a son, emigrated to Israel and later Canada? Karafilly certainly does not idealize her often narcissistic, overbearing mother, and yet she emerges as a lovable person despite her flaws and failings as a parent, a woman who endured much loneliness and emotional neglect, yet met her tough life circumstances with an admirably tough spirit. We come to appreciate that the proud beauty in the plumed hat and the disoriented old crone clinging to her ratty slippers are in fact one and the same person, no stranger at all. To write a book so integrally based on memory is particularly poignant when at the heart of the enterprise is the immutable tragedy of memory's loss. More than anything, this account of living with Alzheimer's highlights the good faith and compassion that must almost heroically be brought to bear when caring for the demented elderly. With perfect pitch, Karafilly quotes from The Unbearable Lightness of Being by Milan Kundera: "Not even one's own pain weighs so heavily as the pain one feels with someone, for someone, a pain intensified by the imagination and prolonged by a hundred echoes." Readers will not have to have had direct experience of Alzheimer's to hear some of those echoes, thanks to the lucid writing in this well-crafted and humane memoir. 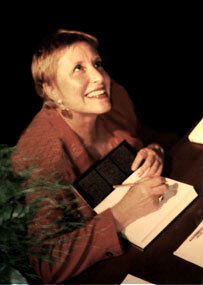 Moira Farr is the author of After Daniel: A Suicide Survivor's Tale. It begins with a mother's photograph taken in Lodz, Poland around 1950, showing a beautiful though aloof young woman, "a black-and-white femme fatale wearing a diamond brooch and a felt hat with a white, audacious feather." The next image of the same woman in 1998, tells a startlingly different story. Married to a millionaire, she is now a septuagenarian, her honey-coloured hair turned gray, returning home after a shopping trip to the Salvation Army, where she has found bargains: a plastic basket for keeping her purse safe from potential snatchers; inappropriate and unprepossessing garments for her daughter Irena and granddaughter Ranya; and, the piece de resistance, a moth-eaten black velvet hat which the cashier let her have for 50 cents. Perhaps the white feather in it reminds the woman of the elegant black hat she had worn in Poland. The contrast between the two hats seems emblematic of her mental decline, and it is dramatic enough to warrant this closely observed, emotionally coloured memoir which is more than simply the story of an Alzheimer's victim. Using the traditional narrative techniques of memoir-writing, Irena Karafilly (nee Friedman) manages to fashion not only a vivid portrait of her Mamushu agonizing deterioration, but examines as well her own tangled relationship with her mother through non-linear episodes of strained family bonds, the immigrant experience and secrets of the past. Agreeing with Milan Kundera (from whom she quotes) that compassion is too heavy in itself for such a purpose, Karafilly (a skilled Montreal journalist and writer) knows how to focus on the drama of interpersonal relationships beyond the clinical details of a medical record, although she does painstakingly insist on linking all her mother's behaviour to symptoms of the disease. Mamushu is evoked palpably: a bag lady who frequents shopping malls, desperate for the kindness and love of strangers so that she can then boast to her negligent husband Yasha, that everybody loves her. When prompted by a sister in Russia to drink her own urine for medicinal effect, she begins to smell like a chamber pot. The grotesque comedy is ever the more unsettling for what it betokens. There is all the awful lousiness of dementia: innumerable shrill calls for help on the daughter's answering machine; the self-caused kitchen fire that burns down the family home; malodorous hygiene; the restlessness at every sunset; a desperate appeal for a cucumber with which to cut herself free of a restraining body-belt in the geriatric ward of St. Mary's Hospital; the loss of memory; the pitiable begging to return "home," when it is unclear what "home" means to one in a mental wasteland. The mother is not the only victim. Alzheimer's is a perfectly democratic illness that cuts across all classes, that is capable of plaguing anyone: the sexagenarian male patient who propositions the author to get into his bed; the Romanian woman who knows five languages and is the resident bookworm; the doctor's wife who still fancies herself the popular hostess of weekend parties; and, more compellingly, paranoid Madame Lafleur who, fearing a conspiracy by the hospital staff, screams out for a lawyer or politician so that she can file a report immediately. Unable to be her own mariner in what Oliver Sacks (as quoted by Karafilly) calls "the seas of one's self," Mamushu is totally dependent on her writer-daughter for understanding, though this creates a heavy burden for Irena, who feels impotent in the sudden chaos of her personal and professional life. But while her book fails to provide a vivid geography of her own mind as a writer, it does show her quest for therapy and self-clarification. When she discovers intimate sexual secrets about her parents - her father's chronic infidelities, her mother's two extra-marital relationships - she wonders if Alzheimer's is a willful escape from intolerable truths. The final image of the old mother comes, fittingly, on Mother's Day, when she no longer knows the word for "goodbye," though "she still smiles on being kissed and makes small kissing noises with her puckered mouth." Her trembling hand is raised to those she doesn't recognize as her family, and its semaphore only looks like a benediction. Keith Garebian has completed a memoir of his parents, Pain: Journeys Around my Parents.